If you’re looking for sports betting in Hawaii, you’ll have to dig deeper than residents of most U.S. states. That’s because Hawaii has some of the most restrictive gambling laws in the nation. There are no racing tracks, bingo halls, poker rooms, or land-based casinos. There’s not even a state lottery, which is common even in mainland states that otherwise prohibit gambling. While the law is harder on those who would provide illegal gambling, it also levies fines and penalties on anyone who knowingly participates. State statute 712-1223 makes it a misdemeanor for a person to take part in a gambling activity, and the punishment can be up to a year in jail and a maximum fine of $2,000. 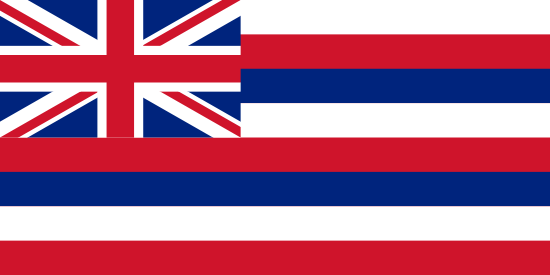 Some US state betting laws put online bettors in a legal grey area, but that isn’t the case in the Aloha State. Gambling over the Internet is also prohibited by their legal code, with the only exception being wagers made on fantasy sports. 2013 saw more than two dozen island residents charged with illegal sports betting, so there’s tangible evidence that the “crime” is taken more seriously in Hawaii than in most states. It should be noted, however, that the only arrested individual specifically named in news stories had acted as a go-between for millions of dollars in wagers with offshore companies, so there’s still a possibility that only high rollers are being targeted. There are no major sports franchises in Hawaii, and this is largely due to two factors. First, there’s the fact that Hawaii is located a long distance from the continental United States, which would make travel time problematic (especially for East Coast teams). Second is the state’s relatively small population, which would make it hard to sustain consistent ticket sales throughout an NBA or NFL season. The state has been home to a number of amateur and semi-pro teams, although all of these have been forced to close. One of the few remaining leagues is the Pacific Roller Derby, an all-female flat track league that’s been operating since 2008 with such teams as the Leahi Diamond Dolls, Tropic Thunder, and South Shore Sirens. For those who like to bet on college sports, Hawaii only has one university that competes in NCAA Division I. This is the University of Hawaii at Manoa, which is located in the city of Honolulu. They have a passionate following due to the fact that they’re the only show in town, so it shouldn’t be hard to find local residents to wager with. Each March brings the men’s NCAA Basketball Division I Tournament, and the Rainbow Warriors of the University of Hawaii have qualified on four occasions (the most recent being in 2002). The female squad, known as the Hawaii Rainbow Wahine, has also made four trips to their respective NCAA national tournament (the last in 1998). Another college basketball tournament held in Hawaii is the EA Sports Maui Invitational. This tourney has been around since 1984 and features eight teams competing over the span of three days. A number of college powerhouses can be seen in action, such as Duke, UNLV, Syracuse, and Maryland. A third option is the Outrigger Hotels Rainbow Classic. Held in Honolulu since 1964, this four-day December tournament has seen athletes such as Michael Jordan and Isiah Thomas show up to prove their worth as basketball players. While it only occurs once a year, another betting option for Hawaiian gamblers is the NFL Pro Bowl. This game has been hosted at the Aloha Stadium in Honolulu almost every year since 1979, and it differs from other all-star games in that it takes place at the end of the year instead of mid-season. A large number of football fans tend to look down on the Pro Bowl, and it’s the only all-star competition that draws lower ratings than its regular-season games (although they’re still the equal of most other all-star events). In recent years the event has been in danger of being cancelled, but the NFL has continued to keep it around and add additional wrinkles to appeal to fans. • Honolulu Marathon – A 26.2-mile race that was first run in 1973. Over 20,000 athletes compete in the event each year. • World Ironman Triathlon Championship – This grueling single-day event includes swimming, cycling, and a marathon run. It’s been held annually since 1978. • Hawaii Bowl – A Division I college bowl game held at Aloha Stadium in Honolulu and played on either Christmas Eve or Christmas Day. • Hyundai Tournament of Champions – This season-opening PGA event is played in Kapalua and is reserved for players who won a tournament during the previous season. Hawaii seems determined to keep gambling off its shores, so anyone considering such activities on the Islands of Aloha should exercise caution. While the penalties are relatively light, most people don’t want to be hauled off to jail or have the authorities rummaging through their homes. While there are no major sports teams to wager on, determined gamblers still have the option of placing bets on annual golf tournaments, NFL all-star games, and various other athletic competitions. Online gaming is also a possibility, assuming you can find an Internet sportsbook willing to risk the wrath of the Hawaiian government.